There have always been and there always will be in this world false spiritual leaders who pretend to represent God, but in fact do not represent God. The Old Testament talks about them, identifies them, and warns people to stay away from them. The New Testament does the same. In fact, Moses was in conflict with them in Egypt. Jeremiah was fighting with them in Judah. Ezekiel faced them and called them foolish prophets that followed their own spirit and have seen nothing. Our Lord warned of them as false Christ’s and false prophets who shall show great signs and wonders. The apostle Paul struggled against them as preachers of another gospel in Galatians Chapter 1, and purveyors of the doctrine of demons he called them in writing to Timothy. Peter said they were false preachers who secretly bring in damnable heresies and they are like dogs who return to lick up their own vomit. 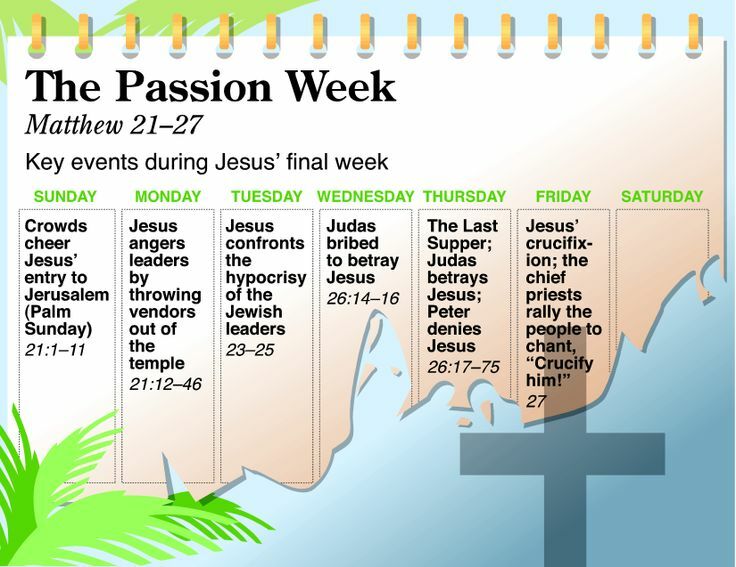 John, the apostle, saw a coming anti-Christ and many anti-christs already present who denied Jesus as the true Christ. Jude saw them and called them deluded dreamers who defile the flesh. And Paul may have summed it up well when he said they are wolves whose desire is to enter in not sparing the flock. They’re always present and they’re always eager to counterfeit the work of God. This story is repeated by Eusebius, in Bk. IV. chap. 14. There is nothing impossible in it. The occurrence fits well the character of John as a “son of thunder,” and shows the same spirit exhibited by Polycarp in his encounter with Marcion … But the story is not very well authenticated, as Irenæus did not himself hear it from Polycarp, but only from others to whom Polycarp had told it. False teachers shut the kingdom of heaven in people’s faces. For those people who decry discernment work and refuse to be discerning, speak of discerning things, or mark false teachers for the benefit of others, you are actually participating in helping to shut others out of the kingdom. In the second sentence, we see that false teachers disallow people to go into the kingdom. This is the first woe repeated in different words. Jesus is stressing the result of false teachers’ work. In addition, he confirmed the false teachers (hypocrites’) ultimate destination. Thirdly, false teachers make their students and followers twice as much a child of hell as they were. If you understand compounding interest, you understand that the student will grow up to be a false believer or a false teacher and then turn around and make their students twice the sons of hell they were, which will be…well, let’s look at this short definition of negatively compounding interest. A $1000 investment which loses 50% of its value will need to work twice as hard (i.e. grow 100%) just to get back to it original value. An investment that loses 50% in the first year and 20% in the second year will have to grow 150 % in the third year to recoup its starting value. And that is only losing half the value. Jesus said the next generation will be twice as bad, not just half as bad. Even if you don’t like numbers, you can see what the negative impact of succeeding generations of unaddressed false teachers will have on the overall health of the faith. Now in looking at verses 1 to 12, I want to suggest to you that a good way to see this section is to see it as a description of the characteristic of a false spiritual leader. And there are five elements that false spiritual leaders lack and I believe the Lord gives them to us right here. They lack authority, they lack integrity, they lack sympathy, they lack spirituality, and they lack humility. It is serious, sisters. Serious. False teachers are not to be coddled, ignored, overlooked, tolerated, or treated non-judgmentally. They attack the sheep, prevent them from entering heaven, and make them children of hell twice as bad as they are. The history of Christ’s church is inseparable from the history of Satan’s attempts to destroy her. While difficult challenges have arisen from outside the church, the most dangerous have always been from within. For from within arise the false teachers, the peddlers of error who masquerade as teachers of truth. False teachers take on many forms, custom-crafted to times, cultures, and contexts. Here are seven of them you will find carrying out their deceptive, destructive work in the church today. This morning I am setting out on a new series of articles that will scan the history of the church—from its earliest days all the way to the present time—and pause to examine some of Christianity’s most notorious false teachers. Along the way we will visit such figures as Pelagius, Servetus, Fosdick, and even a few you might find on television today. We will begin this morning with one of the very first, and certainly one of the most dangerous, false teachers: Arius. This entry was posted in Biblical Lesson/Teaching, Christian Living, Postmodern Church/Apostasy on February 19, 2017 by Truth2Freedom. Are We One Generation Away From Losing The Church? The Washington Post and other media made a big deal Monday that President Trump posted a “fake quote” on Instagram. The quote, in honor of Abraham Lincoln’s birthday, “And in the end, it’s not the years in your life that count. It’s the life in your years,” was misattributed. Lincoln never said it. The media is always looking for these kinds of faux pas. But what if Trump had posted “Money is the root of all evil” or “God moves in mysterious ways” superimposed over an image of the Bible? Almost certainly, the media would never catch it, because they are biblically ignorant and scripturally illiterate. While it’s fun and useful to point out the secular media’s Biblical errors, Christian leaders are not so quick to hone in on a bigger problem within the Body of Christ. Biblical illiteracy among believers is eroding the faith. This entry was posted in Truth2Freedom Headline Alerts on February 19, 2017 by Truth2Freedom. “Unfavorable exchanges caught on video can be devastating” for Republican lawmakers, it says, when “shared through social media and picked up by local and national media.” After protesters gave MSNBC, CNN and the networks footage of their dust-up with Chaffetz, for example, the outlets ran them continuously, forcing Chaffetz to issue statements defending himself. The document provides no evidence to support such accusations. Protesters, who may or may not be affiliated with OFA, are also storming district offices. Last week, GOP Rep. Dana Rohrabacher blamed a “mob” of anti-Trump activists for knocking unconscious a 71-year-old female staffer at his Southern California office. A video of the incident, showing a small crowd around an opening door, was less conclusive. Separately, OFA, which is run by ex-Obama officials and staffers, plans to stage 400 rallies across 42 states this year to attack Trump and Republicans over ObamaCare’s repeal. On Thursday, Trump insisted he’s moving ahead with plans to repeal and replace the Affordable Care Act, which has ballooned health-insurance premiums and deductibles. “Obamacare is a disaster, folks,” he said, adding that activists protesting its repeal are hijacking GOP town halls and other events. As The Post reported, OFA boasts more than 250 offices nationwide and more than 32,000 organizers, with another 25,000 actively under training. Since November, it’s beefed up staff and fundraising, though as a “social welfare” non-profit, it does not have to reveal its donors. These aren’t typical Black Lives Matter or Occupy Wall Street marchers, but rather professionally trained organizers who go through a six-week training program similar to the training — steeped in Alinsky agitation tactics — Obama received in Chicago when he was a community organizer. Chicago socialist Saul Alinsky, known by the left as “the father of community organizing,” taught radicals to “rub raw the sores of discontent” and create the conditions for a “revolution.” He dedicated his book, “Rules for Radicals,” to “Lucifer.” Michelle Obama quoted from the book when she helped launch OFA in 2013. Obama appears to be behind the anti-Trump protests. He praised recent demonstrations against Trump’s travel ban. And last year, after Trump’s upset victory, he personally rallied OFA troops to “protect” his legacy in a conference call. “Now is the time for some organizing,” he said. “So don’t mope” over the election results. He promised OFA activists he would soon join them in the fray. Added the ex-president: “I promise you that next year Michelle and I are going to be right there with you, and the clouds are going to start parting, and we’re going to be busy. I’ve got all kinds of thoughts and ideas about it, but this isn’t the best time to share them. In a spot on piece over at Pulpit & Pen, Costi Hinn calls for Christians to get back to the basics, meaning biblical Christianity. He raises a two fold question: “What in the world has happened to the body of Christ and what semblance of biblical orthodoxy will be left for our children and grandchildren?” The way things are going, the younger generation will grow up with scant knowledge of what God’s Word says and they’ll trust, not in the authority of the infallible Word of God, but instead they’ll lay aside their bibles and trust in extra biblical revelation uttered by infallible men. In this short blog post, Hinn exposes some of the errors professing Christians have bought into, not realizing that they’re actually believing lies from the pit of hell. How could this be? Two words: Biblical illiteracy. 30 years ago nobody would’ve given this question much thought because it was easy to answer. People either liked Benny Hinn or thought he was crazy. People thought Kathryn Kuhlman was a great woman of God or a dramatic fraud. People were largely conservative, or charismatic. They either spoke in tongues that made no sense or viewed the practice as foolish and unbiblical. It wasn’t a perfect Christian world, but at least there was some clarity. This entry was posted in Christian Living, Postmodern Church/Apostasy on February 19, 2017 by Truth2Freedom. The basic meaning of temptation (peirasmos) is simply to test or prove, and has no negative connotation. Whether it becomes a proof of righteousness or an inducement to evil depends on our response. If we resist it in God’s power, it is a test that proves our faithfulness. If we do not resist, it becomes a solicitation to sin. The Bible uses the term in both ways, and I believe that Paul has both meanings in mind here. When “﻿Jesus was led up by the Spirit into the wilderness to be tempted by the devil﻿” (﻿Matt. 4:1﻿) it is clear that both God and Satan participated in the testing. God intended the test to prove His Son’s righteousness, but Satan intended it to induce Jesus to misuse His divine powers and to give His allegiance to Satan. Job was tested in much the same way. God allowed Job to be afflicted in order to prove His servant was an “﻿upright man, fearing God and turning away from evil﻿” (﻿Job 1:8﻿). Satan’s purpose was the opposite: to prove that Job was faithful only because of the blessings and prosperity the Lord had given him and that, if those things were taken away, Job would would “﻿surely curse Thee to Thy face﻿” (﻿v.﻿ ﻿11﻿). God’s tests are never a solicitation to evil, and James strongly corrects those who suggest such a thing. “﻿Let no one say when he is tempted, ‘﻿I am being tempted by God﻿’; for God cannot be tempted by evil, and He Himself does not tempt anyone﻿” (﻿James 1:13﻿). “﻿By evil﻿” is the key to the difference between the two types of temptation. In the wilderness God tested Jesus by righteousness, whereas Satan tested Him by evil. A temptation becomes an inducement to evil only when a person “﻿is carried away and enticed by his own lust. Then when lust has conceived, it gives birth to sin﻿” (﻿James 1:14–15﻿). Earlier in his letter James wrote, “﻿Consider it all joy, my brethren, when you encounter various trials﻿” (﻿1:2﻿). The nouns trials (see also verse ﻿12﻿) and testing (﻿v.﻿ ﻿3﻿) are from the same Greek root as the verb tempted in ﻿verses 13–14﻿. The context indicates which sense is meant. God often brings circumstances into our lives to test us. Like Job we usually do not at the time recognize them as tests, certainly not from God. But our response to them proves our faithfulness or unfaithfulness. How we react to financial difficulty, school problems, health trouble, or business setbacks will always test our faith, our reliance on our heavenly Father. If we do not turn to Him, however, the same circumstances can make us bitter, resentful, and angry. Rather than thanking God for the test, as James advises, we may even accuse Him. An opportunity to cheat on our income tax or take unfair advantage in a business deal will either prove our righteousness or prove our weakness. The circumstance or the opportunity is only a test, neither good nor evil in itself. Whether it results in good or evil, spiritual growth or spiritual decline, depends entirely on our response. Common to man is one word (anthrōpinos) in Greek and simply means “﻿that which is human, characteristic of or belonging to mankind.﻿” In other words, Paul says there is no such thing as a superhuman or supernatural temptation. Temptations are human experiences. The term also carries the idea of usual or typical, as indicated by common. Temptations are never unique experiences to us. We can never have a temptation that has not been experienced by millions of other people. Circumstances differ but basic temptations do not. Even the Son of God was “﻿tempted in all things as we are﻿” (﻿Heb. 4:15﻿), and because of that “﻿He is able to come to the aid of those who are tempted﻿” (﻿2:18﻿). And because temptations are common to us all we are able to “﻿confess [our] sins to one another﻿” (﻿James 5:16﻿) and to “﻿bear one another’s burdens﻿” (﻿Gal. 6:2﻿). We are all in the same boat. 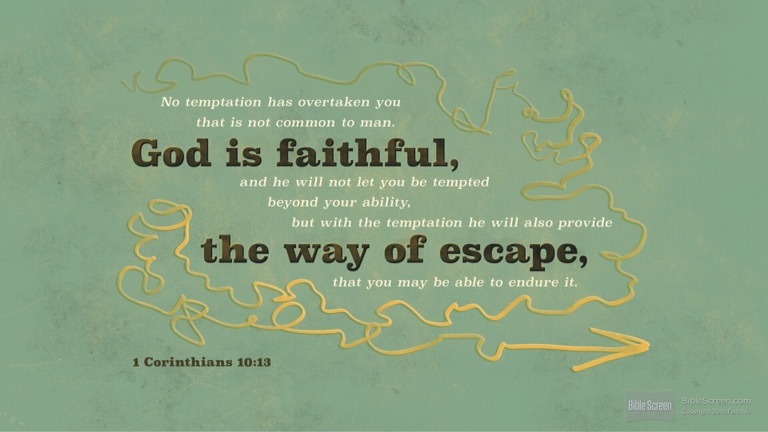 Not only are temptations common to men but God is faithful, who will not allow you to be tempted beyond what you are able. No believer can claim that he was overwhelmed by temptation or that “﻿the devil made me do it.﻿” No one, not even Satan, can make us sin. He cannot even make an unbeliever sin. No temptation is inherently stronger than our spiritual resources. People sin because they willingly sin. The Christian, however, has his heavenly Father’s help in resisting temptation. God is faithful. He remains true to His own. “﻿From six troubles He will deliver you, even in seven evil will not touch you﻿” (﻿Job 5:19﻿). When our faithfulness is tested we have God’s own faithfulness as our resource. We can be absolutely certain that He will not allow [us] to be tempted beyond what [we] are able. That is God’s response when we pray, “﻿do not lead us into temptation, but deliver us from evil﻿” (﻿Matt. 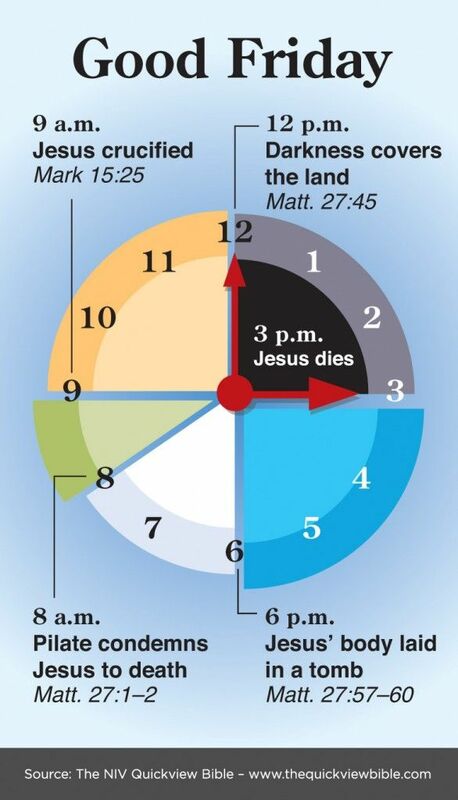 6:13﻿). 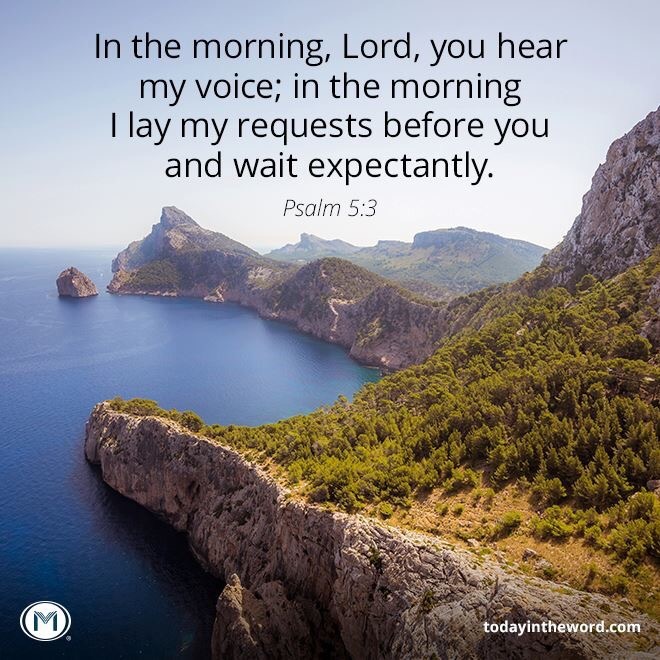 He will not let us experience any test we are not able to meet. When the soldiers came to arrest Jesus in the Garden of Gethsemane, He asked them twice whom they had come for, who was designated on their arrest order. After they answered for the second time, “﻿Jesus the Nazarene,﻿” He said, “﻿If therefore you seek Me, let these go their way﻿” (﻿John 18:4–9﻿). John explains that Jesus prevented the disciples from being arrested with Him in order “﻿that the word might be fulfilled which He spoke, ‘﻿Of those whom Thou hast given Me I lost not one﻿’ ﻿” (﻿v.﻿ ﻿9﻿). The disciples were not yet ready for such a test. Had they been arrested, they would have been devastated, and Jesus would not permit it. As best we know from church history, most of those eleven disciples died a martyr’s death. The other, John, was exiled for life on the island of Patmos. All of them went through persecution, imprisonment, and countless hardships for the sake of the gospel. But they did not go though those things until they were ready to handle them. But with the temptation will provide the way of escape also, that you may be able to endure it. The phrase the way is formed by the definite article and a singular noun. In other words, there is only one way. The way of escape from every temptation, no matter what it is, is the same: it is through. Whether we have a test by God to prove our righteousness or a test by Satan to induce to sin, there is only one way we can pass the test. We escape temptation not by getting out of it but by passing through it. God does not take us out; He sees us through by making us able to endure it. God’s own Spirit led Jesus into the wilderness to be tempted. It was the Father’s will that the Son be there, and Jesus did not leave until all three temptations were over. He met the temptations head–on. He “﻿escaped﻿” the temptations by enduring them in His Father’s power. God provides three ways for us to endure temptation: prayer, trust, and focusing on Jesus Christ. “﻿Keep watching and praying, that you may not come into temptation,﻿” Jesus told His disciples (﻿Mark 14:38﻿). If we do not pray, we can be sure a test will turn into temptation. Our first defense in a test or a trial is to pray, to turn to our heavenly Father and put the matter in His hands. Second, we must trust. When we pray we must pray believing that the Lord will answer and help us. We also trust that, whatever the origin of the trial, God has allowed it to come for our good, to prove our faithfulness. God has a purpose for everything that comes to His children, and when we are tested or tempted we should gladly endure it in His power—for the sake of His glory and of our spiritual growth. Third, we should focus on our Lord Jesus Christ. “﻿For consider Him who has endured such hostility by sinners against Himself, so that you may not grow weary and lose heart. You have not yet resisted to the point of shedding blood in your striving against sin﻿” (﻿Heb. 12:3–4﻿). Christ endured more than we could ever be called on to endure. He understands our trials and He is able to take us through them. This entry was posted in Daily Devotional Guide, Verse of the day on February 19, 2017 by Truth2Freedom. He who abides in Me, and I in Him, bears much fruit. We had a peach tree in our backyard, and one year it went wild with fruit. We had enough peaches to feed the whole neighborhood! Another year, we could find only one tiny, shriveled peach. Some Christians can be like that, exhibiting little evidence of belonging to God—but God wants us to grow and produce much fruit for His glory. The fruit you bear is the manifestation of your character, and the only way people will know that you are a child of God. He wants to present Himself to the world through what He produces in you, so His character is at stake in your fruit. He wants you to be fruitful far above what the world or the flesh can produce. God’s grace is His undeserved favor shown to sinners. What exactly is grace? It is simply God’s free, undeserved, and unearned favor. It is a gift given by God not because we are worthy of it, but only because God, out of His great love, wants to give it. Grace is evident to Christians in two main ways. The first is electing, or saving, grace. God “has saved us, and called us with a holy calling, not according to our works, but according to His own purpose and grace which was granted us in Christ Jesus from all eternity” (2 Tim. 1:9). “By grace [we] have been saved through faith” (Eph. 2:8). This is God’s grace to sinners, for “where sin increased, grace abounded all the more” (Rom. 5:20). Another grace in our lives is enabling, or sustaining, grace. We didn’t just receive grace to be saved; we now live in grace. It is the grace of God that enables us to live the Christian life. When Paul asked that some debilitating “thorn in the flesh” (2 Cor. 12:7) be removed, the Lord told him, “My grace is sufficient for you, for power is perfected in weakness” (v. 9). Paul elsewhere says, “I can do all things through Him who strengthens me” (Phil. 4:13). Remember, we have earned neither saving nor sustaining grace. Nothing we can do can make us worthy of one more bit of grace. God says, “I will be gracious to whom I will be gracious” (Ex. 33:19). This truth should make us all more grateful because He saved us and sustains us despite our sin. It should also make us humble because we have no worthiness to boast about (Eph. 2:9). Suggestions for Prayer: Thank God for His grace in saving and sustaining you. For Further Study: Read Genesis 9:8–19. How did God extend grace to Noah and his family? 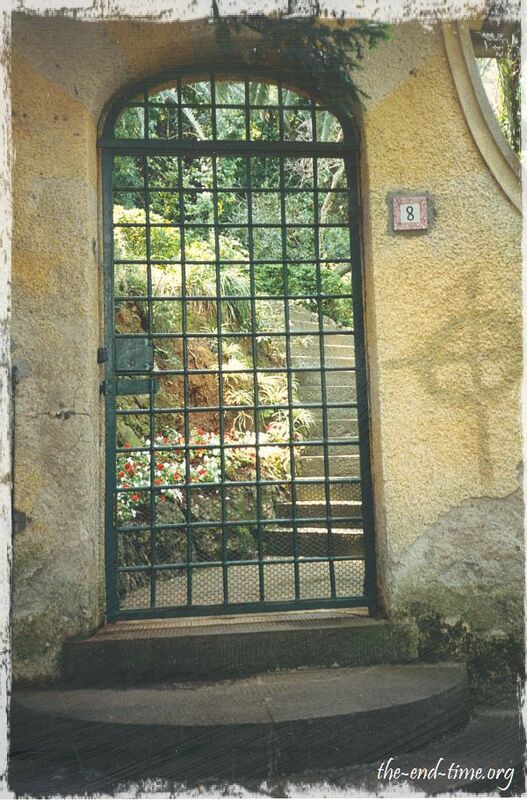 ✧ What was the visible sign or symbol? The experiential knowledge of God is eternal life (John 17:3), and increased knowledge results in a correspondingly larger and fuller life. So rich a treasure is this inward knowledge of God that every other treasure is as nothing compared with it. We may count all things of no value and sacrifice them freely if we may thereby gain a more perfect knowledge of God through Jesus Christ our Lord. This was Paul’s testimony (Philippians 3:7-14) and it has been the testimony of all great Christian souls who have followed Christ from Paul’s day to ours…. To enjoy this growing knowledge of God will require that we go beyond the goals so casually set by modern evangelicals. We must fix our hearts on God and purposefully aim to rise above the dead level and average of current Christianity. A general love of sin is the greatest hindrance to true spiritual mourning, because holding on to sins causes our hearts to harden. One of the less advertised but more common sins is the sin of despair, which is essentially the same as giving up on God and putting ourselves outside His grace—refusing to believe He can save or help us. The prophet Jeremiah wrote this of such people: “But they will say, ‘It’s hopeless! For we are going to follow our own plans, and each of us will act according to the stubbornness of his evil heart’ ” (Jer. 18:12). Despair attempts to hide God’s mercy behind our self-made cloud of doubt. Another hindrance to mourning is the sin of conceit. It seeks to hide the sin itself and tell us we really have nothing to mourn about. Conceit is analogous to a physician treating cancer as if it were just a common cold. If Christ had to shed His blood on the cross for our sin, then sin must be significant and something over which we must mourn. To be a true mourner, it’s imperative that you remove all basic, sinful hindrances that keep you from mourning. Otherwise you will grieve the Holy Spirit, question the truth of His Word, and restrict His grace from plowing up your hard heart and leading you to obey Him. It’s time to get honest about your sins today, identifying and confessing anything that stands between you and free-flowing fellowship with your Lord and Savior. Is it despair? Conceit? Whatever it is, you probably know it well. Repent of it all. And walk again in the beauty and freedom of holiness. Let us consider three simple things reinforced in the Word of God for those who would discern God’s highest will. First, be willing to put away known sin! Second, separate yourself from all of the attractions of the world, the flesh and the devil! Finally, offer yourself to your God and Savior in believing faith! God has never yet turned away an honest, sincere person who has come to know the eternal value of the atonement and the peace that is promised through the death and resurrection of our Lord Jesus Christ. The only person who will never be cleansed and made whole is the one who insists he or she needs no remedy. The person who comes in faith to God and confesses, “I am unclean; I am sin sick; I am blind,” will find mercy and righteousness and life. Our Lord Jesus Christ is the Savior, the Cleanser. He is the Purifier, the Healer. He is the Sight Giver and the Life Giver. He alone is the Way, the Truth and the Life! Dear Lord, truth seems to be in short supply in our postmodern world today. Help me to be bold but loving in my presentation of Your truth. “This I pray, that your love may abound still more and more in real knowledge and all discernment” (Phil. 1:9). Christian love operates within the parameters of Biblical knowledge and spiritual discernment. As a Christian, you are a repository of divine love. More than anything else, your love for God and for other believers marks you as a true disciple of Jesus Christ (John 13:35). In addition to possessing God’s love, you have the privilege and responsibility of expressing it to others on His behalf. That’s a sacred trust. Paul qualifies it in Philippians 1:9, which tells us that love is to operate within the sphere of Biblical knowledge and spiritual discernment. Those are the parameters that govern God’s love. No matter how loving an act or word might seem, if it violates knowledge and discernment, it is not true Christian love. Second John 5–11 illustrates that principle. Apparently some believers who lacked discernment were hosting false teachers in the name of Christian love and hospitality. John sternly warned them, saying, “If anyone comes to you and does not bring [sound doctrine], do not receive him into your house, and do not give him a greeting; for the one who gives him a greeting participates in his evil deeds” (vv. 10–11). That might sound extreme or unloving, but the purity of God’s people was at stake. In 2 Thessalonians 3:5–6, after praying for the Thessalonians’ love to increase, Paul commanded them to “keep aloof” from so-called Christians who were disregarding sound teaching. That’s not contradictory, because Christian love guards sound doctrine and holy living. Unfortunately, today it is common for Christians to compromise doctrinal purity in the name of love and unity, or to brand as unloving some practices Scripture clearly commands. Both are wrong and carry serious consequences. Be thoughtful in how you express your love. Abundantly supply it in accord with Biblical knowledge and discernment. Excellence and righteousness will result (Phil. 1:10–11). Suggestions for Prayer: Thank God for the love He’s given you through His Spirit (Rom. 5:5). ✧ Ask for opportunities to show Christ’s love to others. ✧ Pray that your love will be governed by convictions grounded in God’s truth. For Further Study: What do the following passages teach about love? How can you apply them to your life? Romans 12:9–10; 5:5; 1 John 4:7–10; Galatians 5:22; 1 Peter 1:22; 4:8. QUESTION: HOW MUCH MORE COULD I HAVE DONE? For all they did cast in of their abundance; but she of her want did cast in all that she had, even her living. Before the judgment seat of Christ my service will be judged not by how much I have done but by how much I could have done! In God’s sight, my giving is measured not by how much I have given but by how much I had left after I made my gift. Not by its size is my gift judged, but by how much of me there is in it. No man gives at all until he has given all! No man gives anything acceptable to God until he has first given himself in love and sacrifice. While Christ was the perfect example of the healthy, normal man, He yet did not live a normal life. He sacrificed many pure enjoyments to give Himself to the holy work of moral rescue. His conduct was determined not by what was legitimate or innocent, but by our human need. He pleased not Himself but lived for the emergency; and as He was, so are we in this world! It is in view of this that all our Christian service must be evaluated. My old friend Tom Haire, the praying plumber, told me one day that he was going back home for a rest. MacArthur, J. (2001). Truth for today : a daily touch of God’s grace (p. 62). Nashville, Tenn.: J. Countryman. MacArthur, J. (2008). Daily readings from the life of Christ (p. 58). Chicago: Moody Publishers. MacArthur, J. F., Jr. (1993). Drawing Near—Daily Readings for a Deeper Faith (p. 62). Wheaton, IL: Crossway Books. This entry was posted in Daily Devotional Guide on February 19, 2017 by Truth2Freedom.